WARNING! For anyone who has ever been whacked with a ruler or other sadistic instrument of education by a nun in Catholic school, this video could be traumatic. Therapists are standing by to counsel at 1-800-555-OHNO. This video is smoking the interwebs right now, but I don’t really know why. It just goes to prove you never know what video is going to go viral. 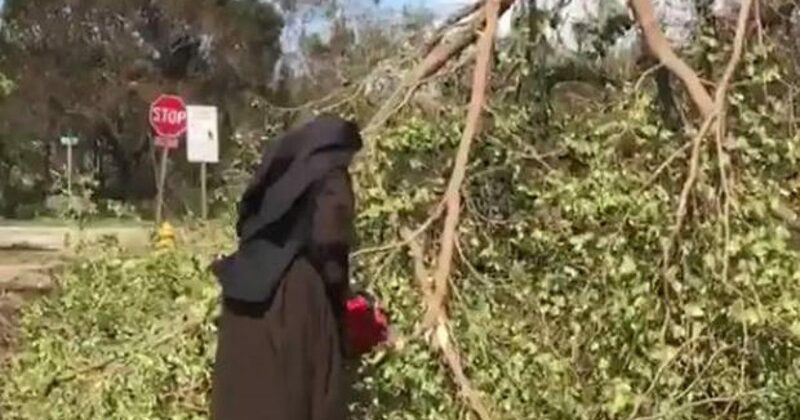 Watch Sister Margaret Ann, principal of Archbishop Coleman F. Carroll High School, a college prep school in Miami, as she takes the initiative to clear branches from a campus street. Asked how she was able to perform such manly work, she replied that a heaping dip of Copenhagen sends her testosterone level through the roof.